Noritsu QSS-37HD Series QSS-3701HD QSS-3702HD QSS-3703HD QSS-3704HD QSS-3705HD - PFS / Photo Finishers Supplies Inc.
Everyone has different photo needs. To fulfill your needs for optimal quality, Noritsu bring you a system that boasts high resolution and high definition.As high-end digital cameras are becoming more prevalent, the expectations for prints are higher and more complex. Noritsu Koki knows that the only way to meet the individual print needs is to enhance the specifications of the printer. This is why we have improved the laser exposure system, resulting in higher resolution, higher quality prints. We bring you a system that provides the exact image quality you are aiming for, and covers a diverse range of needs. Come discover the awesome image potential of the amazing Noritsu QSS-37HD series. The pursuit of beauty may seem like chasing an intangible and unattainable dream. Photographic beauty is subject to the limitations of the camera and the photography techniques, and the criteria for labeling something beautiful also varies from person to person since beauty is indeed in the eyes of the beholder. Therefore, fulfilling Noritsu Koki’s mission of delivering beautiful photos to customers everywhere all the time is very dificult, to say the least. But the Noritsu QSS-37HD series has enabled us to take a giant step forward in this regard. The laser engine, which is regarded as the heart of the printer, has been improved so as to attain an even higher level of quality. The user-friendly image processing operation and all the other special features of the Noritsu QSS-37HD work together to provide high quality photographs that satisfy all customers, regardless of their individual tastes. make rapid progress in. 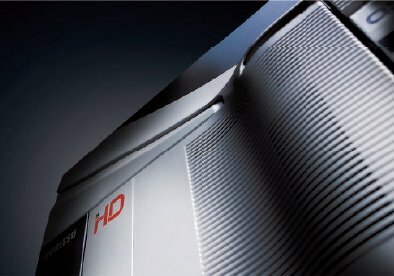 The Noritsu QSS-37HD series consists of minilabs that are worthy of the letters they bear - “HD” (for High Definition). With a name that embodies our confidence, we bring you the Noritsu QSS-37HD series and a new meaning to the word “high quality”. 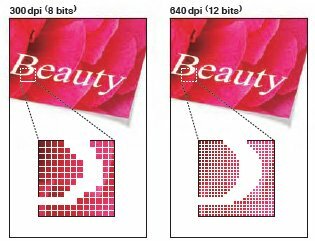 An amazing resolution of 640 dpi (12 bits ). This translates to 79 million pixels for an A3 size print Having a printer that produces prints of silver halide quality provides a big advantage for the photo retailer. For icing on the cake, the Noritsu QSS-37HD has a newly developed laser engine that has an unprecedented resolution of 640 dpi for both main scanning and sub scanning, and this results in prints with 5 times more pixels than prints made with previous minilabs. All these extra pixels result in finely detailed prints that have a dimension that is not available with other printers. Up to now, handling raw image data has been a troublesome affair. To solve this problem, Noritsu Koki has formed a technical cooperation agreement with Adobe Systems. According to this agreement, raw image conversion software is incorporated in the EZ Controller, and raw image files are converted to the DNG file format, and then the images are enhanced with Noritsu Koki’s “AccuSmart” image processing technology. Utilizing the technology made available in this agreement, Noritsu Koki developed a system that produces optimal prints automatically, undergoing the same basic process as when making prints from film images. 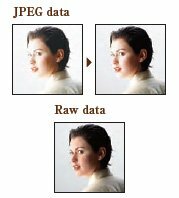 This means you do not have to do anything special to print raw image data. These orders can be processed just like any other print order. All gradations are used, producing an image that is balanced well. There are very few pixels with shadows that are too dark and highlights that are too light. Digital camera image data and image data scanned from film is easily corrected to produce beautiful photos that closely resemble what the photographer sees when he snaps the shutter. For example, Digital ICE and Digital Masking are used to automatically correct dust and scratches on film, and you can set values for insufficient peripheral light, color aberration, and distortion, and make unrestricted correction of lens aberration. With the Noritsu QSS-37HD series, it is easy to provide consistent quality without undergoing any complicated procedures. Photographs are a wonderful form of entertainment, Noritsu believes this with all their heart. We see many people pick shots that are special to them and preserve them in ways that enrich their lives. Noritsu Koki cherishes such scenes, and they want to enhance the enjoyment of photographs through our machines. The QS S -37HD was developed under our certified product development syste m, which is constantly striving for improvement and is always aiming to develop versatile machines that go beyond the present market needs. We hope that you will take advantage of all that Noritsu machines have to offer, and use them to build an exciting shop. Doing so will fuel your customers’ interest in photographs, and this in turn will lead to customer growth and an increase in revenue. Installing CT-SL digital media input terminals will not only enable your customers to discover the joy of selecting the photos they want to print, this also enhances efficiency by eliminating order-taking hassle for the employees. The CT-SL’s intuitive interface, easy-to-use GUI, and exciting templates make it fun and easy to use. 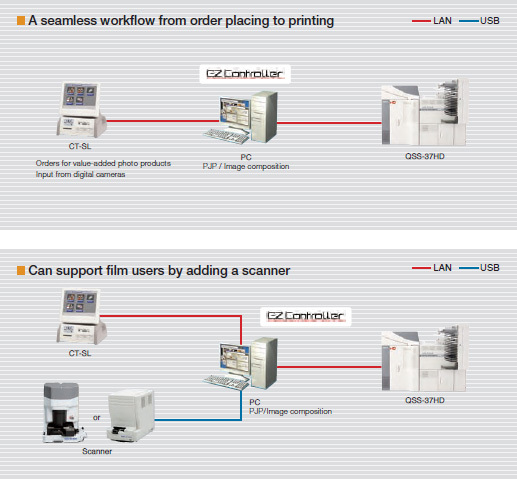 The EZ Controller takes care of everything from print order management to color correction of the individual images. It can be installed in networked computers, providing a flexible system in which image editing can be carried out efficiently with multiple computers. Noritsu Offers three different scanners to choose from, enabling you to provide a high-quality print solution to film users. * 135/I x 240 only. No carrier required. 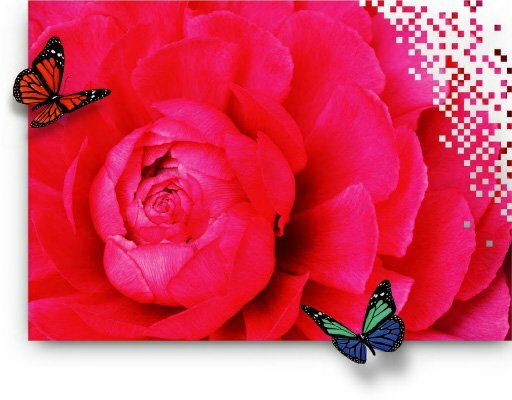 Nowadays, many people are looking for a way to give a creative look to their photos, and many customers want to choose the color tone for their photos. In addition to the basic color tone, it is also possible to choose other unique color tones with the Noritsu QSS-37HD, including “Vivid”, “Nostalgic”, and “High Key” which creates a pleasant scene with a pale color tone. We are now seeing a lot of variation in value-added photos and personalized photo products, thanks to the versatility of digital image data. 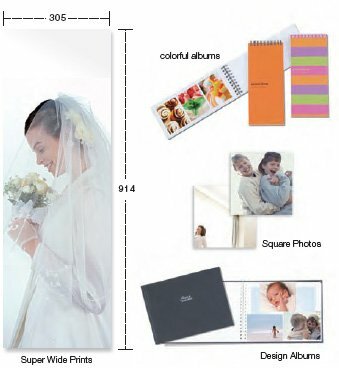 You can make many different kinds of albums and many different kinds of prints in various sizes up to 12 x 36 inches. Letting your customers know about the extensive variety of print services available at your shop is a great way to expand your business possibilities. This is sure to help you pull in new customers, and reinforce the customer base you already have. You can surprise your customers by offering new services they never thought possible, and the high-performance Noritsu QSS-37HD series provides the ideal environment for doing this. Speed provides a big advantage in the photo business. Speed improves productivity and is tied directly to customer satisfaction and profitability. Being this as it may, Noritsu Koki’s stance is that it is in no way acceptable to sacrifice quality for speed. To this end, we have undertaken the next -to-impossible task of maintaining high precision while improving the processing capacity. We use synergy to incorporate excellent features into our lates thigh -quality high -speed printers, and we do our best to provide a smooth workflow. This is the main reason so many people around the world support us and our products. It is an unmistakable fact that print capacity is the key to providing a smooth photo business, and Noritsu Koki has continually strived to provide higher capacities so retailers can meet a wide range of processing demands, including sudden orders for large print volumes. However, it is also true that required capacities vary with the business scale. Printing the quantity you need, when you need it. The fact that our minilabs answer those needs makes them versatile machines. The Noritsu QSS-37HD series has 5 different capacities to choose from. In addition to the choice of capacities, these printers allow for smooth high-speed processing during peak times as well as slower times, and the same consistent high quality photos are provided at all times. Daily setup is carried out automatically using the program timer. This reduces the prep time required before business hours, helping you to reduce labor fees and use your time more efficiently. Replacing magazines every time you need to change print sizes can be a time-consuming task. But you can eliminate the need for frequent magazine changes by loading 3 magazines with the triple magazine system or even 4 magazines with the quad magazine system. Keeping in line with current trends, many photo shops are placing more emphasis on speed for their print services. A standard Noritsu QSS-37HD printer provides ample speed as it is, but it is also possible to hasten the print speed even further. Installing CT input terminals will greatly enhance your digital input workflow, using the EZ Controller will provide an efficient print workflow, and “rapid processing chemicals” will bring a reduction in the processing cycle, while at the same time enabling easy and safe “one touch” replacement. These three powerful tools enable an on-the-spot print service where the print orders are fulfilled in minutes. This means customers can come into your shop, place the order, and pick up the prints in the same visit. This ability is sure to help you attract new customers who have not printed at retail in the past due to personal time restraints. Constantly checking the conditions of the chemicals can be a troublesome affair, but the convenient Control Strip Auto Loading Unit makes this an easy task. All you have to do is set the control strip in the Auto Loading Holder Unit without a leader and set this unit in the processor. This enables the control strip to be processed automatically when processing begins. The Display Module displays error messages and other vital information, and this enables you to confirm the condition of the printer, even if it is separated from the EZ Controller. This way you will be aware of the condition of the printer at all times, even when you are busy attending to customers, and this will enable you to quickly recognize and solve any problems that may arise. Automation from input to output, which is beneficial for a small-scale staff.Orders input with the CT-SL are controlled with the EZ Controller. These images are printed after being corrected. You can support film users by connecting a scanner. With the ability to provide on-the-spot prints and other convenient services, Noritsu Koki provides an efficient workflow for small-scale shops. Using a separately placed computer, it is possible to perform image editing in a separate area. If you install the Noritsu QSS Printer Driver software in the computer, you can make prints from all the applications you are used to using. This provides smooth operations for photo studios that perform a large amount of image correction. In addition to making prints, this flexible network system enables you to scan film and process the images on a computer, burn CDs, install the EZ Controller in multiple computers, and boost your productivity by configuring your network so particular orders are distributed to specified printers. If you construct your network to enable third party software to be used, you can connect the optional NetOrder Converter, which also makes it possible to support Internet orders. As you can see, it is possible to support diverse business styles when you use Noritsu equipment. Estimated processing capacity (prints/hr)*4 ( )represents capacity when using high-specification PC. High-spec PC used for QSS-3704HD/3705HD capacities. *1 Depends on the PC, card reader used. Indicates image formats supported when using the computer system supplied by Noritsu Koki. *2 Using 512MB xD Picture Card. 2304 x 1728 pixels per image. *3 Using 512MB xD Picture Card. 3024 x 2016 pixels per image. *4 EZ Controller image output setting: 320 dpi / 8 bit. Calculated according to our criteria. The actual capacity you achieve may be different.